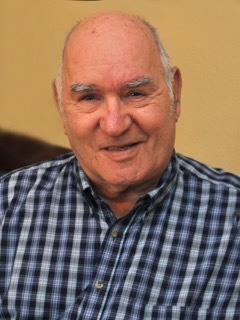 Charles Lincoln Gleave passed away unexpectedly on March 28, 2016 at his home in Mesa, Arizona. Born June 13, 1927 in Salt Lake City, he was sixth of the seven children of Dr. John Ernest Gleave and Fanny Ewer Palmer Gleave. As a baby, his sisters nicknamed him “Bud”, and that was how everyone knew him the rest of his long life. As a young man, Bud was a gifted athlete, lettering in multiple sports at East High School and later as a lineman and place kicker for the University of Utah football team, where his precision in splitting the uprights earned him the title “Golden Toe Gleave”. In later life he was an avid golfer and outdoorsman, like his father before him. It is more than fitting that he left this life peacefully, while watching a baseball game. Bud enlisted in the Navy during the World War II, and was en route to the Pacific Theater when Japan surrendered in 1945. He finished his Navy service at the Veterans Administration in Washington, D.C., helping fellow soldiers make the transition back to peacetime. After earning a degree in Business from the University of Utah, he married East High classmate Gloria Halverson. They were constant companions for 63 years. In 1960, Bud and Gloria moved their young family to Arizona, where they remained as long-time residents of Scottsdale, Paradise Valley and Mesa. Bud is survived by his wife, Gloria, sons Joseph (Janet), Robert (Stacey) and Kelly (Karen), 11 grandchildren and sisters Connie Gardner and Mary Moeller. Bud was preceded in death by his brother John Palmer Gleave and sisters Lucille Uffens, Lorna Richardson and Ruth Greene Hill. We remember him for his unfailing generosity and good humor. We will miss his positive outlook. As advancing years took their toll, his motto was always, “I’m just glad to be here one more day”. Visitation is Thursday, April 7, 2016 from 7-9 PM at Bunker’s Garden Chapel, 33 N. Centennial Way, Mesa, AZ. Funeral services are Friday, April 8, 2016 at 9 AM, with visitation at 8 AM, at the LDS Elmwood Ward, 925 N. Harris Dr., Mesa, AZ. Our deepest and sincerest condolences on the loss of your dad. Thinking of you and the family especially Josie. Dear Gloria, Joe, Rob, Kelly and Families: We’re saddened to hear about the passing of our Uncle Bud. We’ll always miss his positive outlook in life and his unique sense of humor. Our thoughts are with you. My daughter (Cathy Tait) attended the lovely funeral of my good friend from our wonderful days attending East High School together. I send my love and best wishes to Gloria and their children. To the Gleave family, I’m deeply sorry for your loss. It’s my hope that you can draw comfort from God’s promises in the Bible. Revelation 21:3, 4 and Acts 24:15 show that there will soon be a time when there will be no more sickness, or death, and we can see the loved ones we’ve lost to death again. May these thoughts bring you strength and hope as you cherish the memories of your loved one.